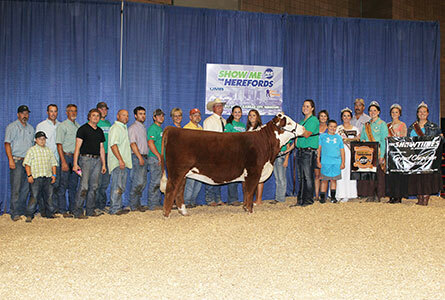 Happ Herefords began in 2007 when Chris purchased a small herd of Hereford cattle from an elderly neighbor. After calving out this older herd, Chris set out in search of sound, attractive, and maternal females to serve as the foundation of his own herd. Over a decade later, joined now by his wife Janell and two sons, Henry and Morgan, Chris still places emphasis on those qualities. Our cattle not only go on to make beautiful, productive mothers, but many have enjoyed success at the highest levels in show rings across the country. We pride ourselves on producing eye-appealing, attractive females that will make you just as proud in the pasture as their backdrop photo. Feel free to call or stop by for a visit at the farm anytime.